Chioggia is one of the major fishing port of the Italian peninsula, and offers specialties of the Adriatic Sea and of the Venice Lagoon (fish, mollusks, and crustaceans). Sottomarina is internationally well known for the typical horticultural productions of radicchios, white onions and pumpkins. This bond makes the territory of Chioggia and Sottomarina proud of a respected culinary tradition of simple genuine good dishes. At PLAYA DEL SOL you will be able to satisfy your mouth and palate according to the seasonal rhythm, starting from breakfast… and ending with dinner. At our restaurant you will taste delectable fish dishes, served in the restaurant inside room or the comfortable outdoor Arabian tent. 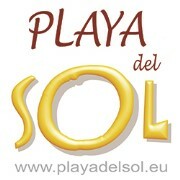 Furthermore, PLAYA DEL SOL organises lunches, anniversary and celebration buffets, graduations and birthday parties, company banquets and dinners, and the like. Our personnel is available for customising every detail. We recommend and appreciate evening reservations.